Lucideon’s client is a leading consumer product manufacturer that is dedicated to the development and innovation of its hygiene and home products. The company wanted to gain quantitative insight into the effectiveness of their washing machine additive product, used to keep washing machine internal surfaces clean. Lucideon needed to develop a method to replicate soap scum and contamination, indicative of that found in washing machines. Once this was developed, the artificial scum was tested for how it deposited on different surfaces found within washing machines and how this was affected by the client’s product. Levels of contamination needed to be measured qualitatively and quantitatively, before and after cleaning, and with and without using the client’s product. Lucideon developed artificial soap scum to deposit on typical washing machine surfaces to allow effective testing, representative of true washing machine contamination. Lucideon’s experts also had to determine how to maintain the washing powder constituents in the solution during the experiments. Different solutions were formed to simulate pure water conditions, medium water hardness and extreme water hardness. The solutions were placed into containers with conditions representative of a washing machine environment during a day’s use. Some samples were analyzed after only one use and others repeatedly to give short and long-term use data. Once test cycles were completed, the containers were washed with Ultra High Pressure UHP water. 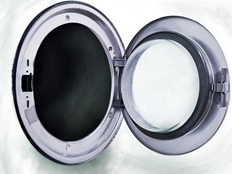 Lucideon’s expert analysis was able to show decisively that by applying the client’s product the levels of contamination and scum deposit on washing machine surfaces was significantly reduced. By using Inductively Coupled Plasma Optical Emission Spectroscopy (ICP-OES Analysis), a trace level analysis technique, Lucideon experts were able to provide quantitative data to support the visual information. The results provided understanding of how soap scum deposits on different surfaces, which created insight on how the product reduces contamination levels. This information can now be used in any future development of the product to maximize effectiveness. Our client received quantitative results that showed the effects of their soap product in a measurable way, which provided insight into product behaviour as well as creating market advantage. Lucideon’s development of an artificial soap scum will also help make future testing and analysis, of contamination and build up, quicker and simpler.